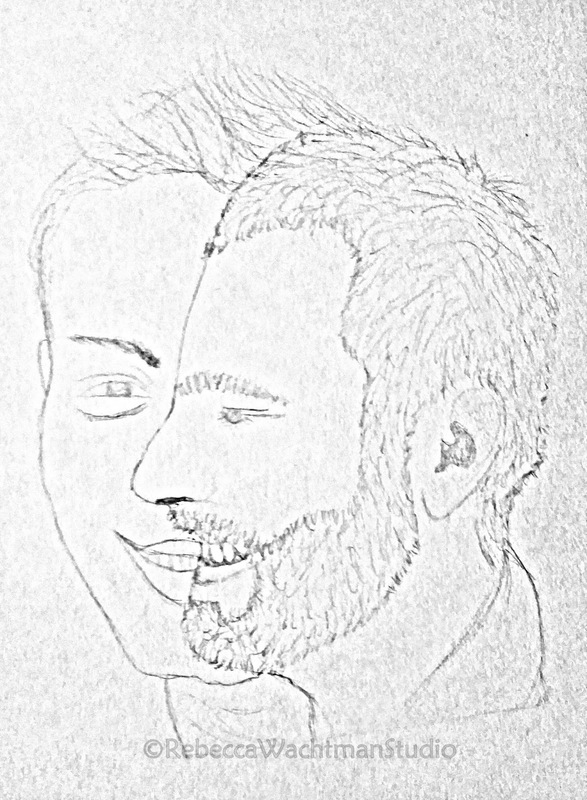 I have a wonderful friend who asked me to think about creating a Picasso-inspired art piece for he and his boyfriend. LOVE the idea... but um... that's a new style for me. 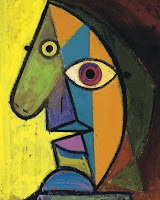 So I took a look at a bunch of Picasso and Picasso-inspired art on Google and Pinterest - and then got to work. I have to say I had a BLAST! I'm not sure that Picasso would be impressed, but it is a LOT of fun to do! 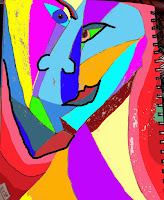 So much so, that I'm now incorporating abstract-style faces into my daily drawing/doodling. It's a great opportunity to practice drawing skills, play with shading, and step outside my normal, realistic style of drawing and painting. 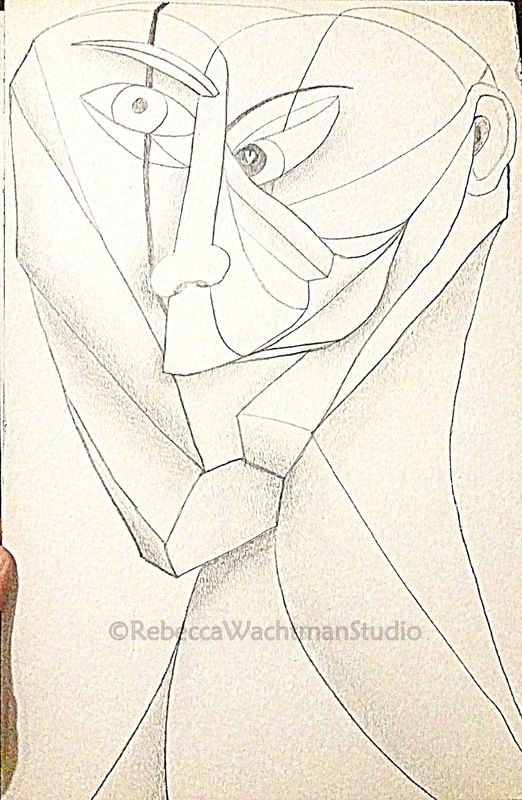 My friend wanted either a face-in-face style or a cubist-style or abstract face. These are my original drawings (trying to get a feel for what he was looking for). 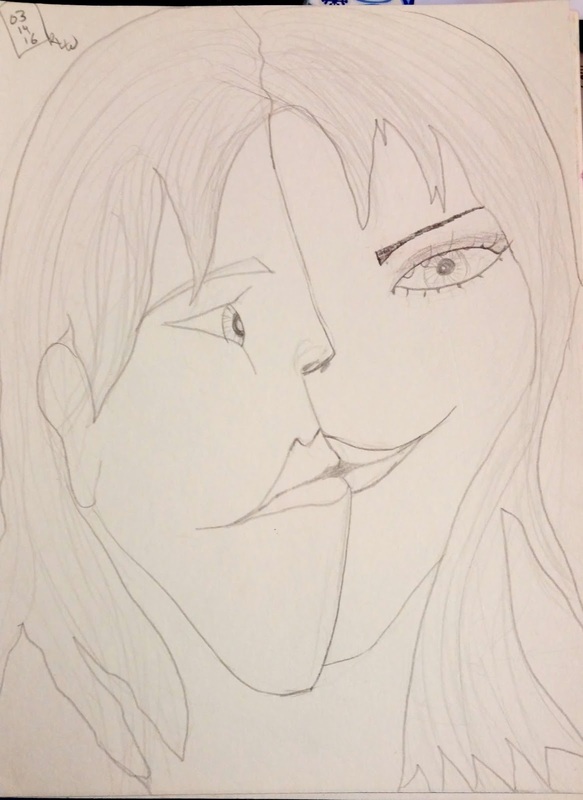 He liked them both and asked me to try creating a face-in-face of him and his boyfriend, and then for the Cubist Face, to somehow incorporate a heart. 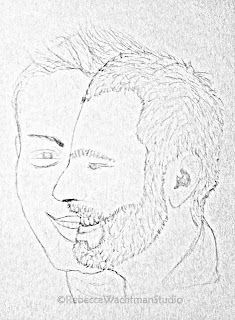 So I created a new face-in-face of my two friends... and then planned on shaping it into 1 face --- but my friend loves it as-is! 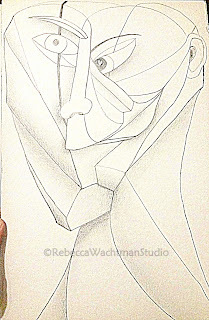 And then I drew out a new cubist face incorporating 2 hearts - can you find them?? 1 is noticeable, the other is something you have to look for and may not find. My friend loves this as well!! However, now he's torn because I've been creating other abstract faces in my art journal ..and he loves those as well! I am excited to find out which one will be his final choice (or choices??). So You Want To Make Your Own Vertical Stovepipe Steamer? I wrote a post on my other blog several years ago, but was just asked to create a new document for the Silk Painters group on Facebook. So I thought I'd share it here! Making your own Stovepipe Steamer is relatively easy to do and certainly cost effective! To buy one new (and made specifically for silk paintings) will easily cost you over $1000 bucks.... but making one yourself can cost under $100 (mine was less than $50!). I've had several people ask: Why do you want a Stovepipe Steamer? Can't you just use a pot and steaming basket on your stove? So you're thinking of making your own World Globe Bowl or Lampshade? So you're thinking of making your own World Globe Bowl or Lampshade? (a series of 3 tutorial posts explaining how to select a World Globe, make a lampshade, and make a bowl). I was very excited to test out Jacquard's new Water-based Resist for silk painting. I've used a variety of resists and each has their pluses and minuses... and this new resist is no different.